The TAR cast (Aaron Wolf, Stu Stone, Nicole Shipley, Max Perlich and Cinta Laura) during the LACC panel. Howling Wolf Productions took the legend of TAR to Stan Lee’s 2016 Los Angeles Comic Con during Halloween weekend. Aaron Wolf and much of the cast—including Max Perlich, Tiffany Shepis and Cinta Laura—were in attendance for signings, giveaways and an exclusive teaser reveal of the new horror feature. 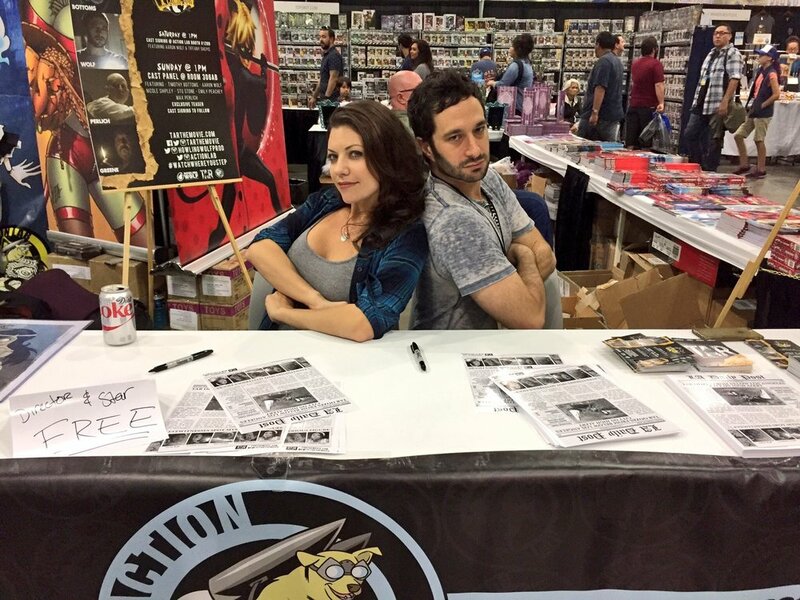 Tiffany Shepis and Aaron Wolf at the TAR/Action Lab LACC booth.